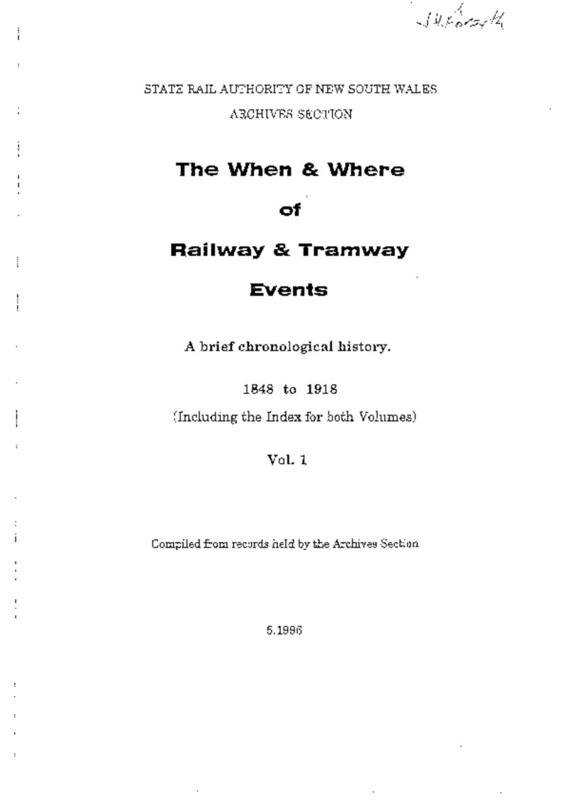 "The When and Where of Railway and Tramway Events – a brief chronological history" in two volumes. It was published in May 1996. The first volume covers 1848-1918 (PDF pages 1-356). Volume 2 covers 1919-1986 (PDF pages 357-664). The authors, the last two Archives Officers of the NSW State Rail Authority, have included an index at the beginning of the document.